How do you take the measure of 4,000 jobs lost in an industry with the size and scope of Hollywood? That’s the number of pink slips being handed by Disney to Fox employees now that the merged mega-studio won’t need them anymore. Four. Thousand. Jobs. It’s undoubtedly the largest layoff from a single entertainment company in a generation — maybe ever — a fact that has not been widely discussed in an industry that has no context for this kind of consolidation. Myself I’ve been trying to think about what it means. I grew up in Ohio, where these were the kind of statistics you used to read when General Motors shut an automotive plant. Or when a tire manufacturer moved overseas and left Youngstown. The kind of thing when Boeing moved its headquarters from Seattle to Chicago. But not previously in an industry of movie and television creators. These are, potentially, 4,000 mortgages. Tuition. Braces. Art classes. Elder care. For some very fortunate it may just be skipping spring break vacation in Hawaii with the kids. But for most of the people involved it’s serious stuff, the existential issue of surviving everyday life. From folks who I’ve spoken to, this wasn’t a big surprise. Job losses were expected from the moment that Disney’s Bob Iger announced that Rupert Murdoch had given up on growing his empire and instead was cashing out at a $71 billion price tag. Some had been quietly departing for new gigs over the last few months. The rest, however, have been waiting in agony to find out their fates. Job losses are not a new thing to Hollywood. Studios have shut down before, especially art-house divisions like Warner Independent or independents like Trimark and the aforementioned Relativity. 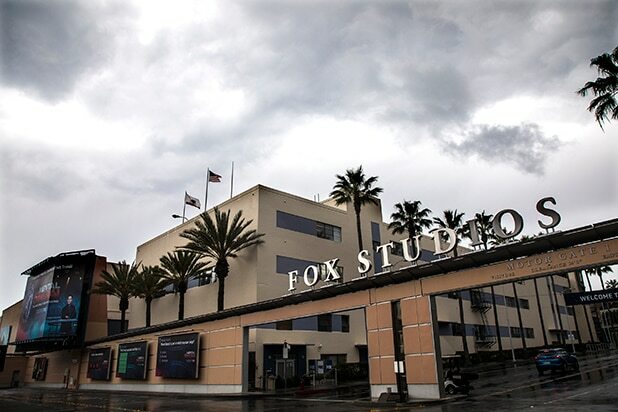 For a couple of decades producers have been packing their bags to chase the cheapest places to shoot rather than finding a space on the studio lot. And visual effects specialists have been globe-hopping for years, from Vancouver to London to New Zealand, in a quest to go where the jobs are but never seem to remain. In an in-depth Fast Company piece last November titled “The Death of Hollywood’s Middle Class,” Nicole LaPorte looked at the decline of many of the elements that used to support the creative class — residuals and development deals. But here’s what strikes me, and what makes it so different from the union jobs that went away as global industrialization killed manufacturing in America. The people in the entertainment industry are generally already those who have sacrificed to get here. Those who grew up in Nebraska watching “Freaks and Geeks” and vowing to be a part of it. Those who memorized every word of the “Star Wars” canon and had no choice but to head West and do anything to get close to it all. Those who begged their parents to let them study film instead of accounting and scraped by at $15 an hour until they made it up into the ranks of a real job with benefits and vacation and could drive something other than a clunker that broke down on the 101. So to have fought your way into the dream machine and made it, only to find that after years of quality work there is no job for you — that is one harsh blow. Nobody meant it to be the case, but it’s true. The entertainment industry is getting smaller, following the pattern of all industries in the age of technology. Disney-Fox will go on and do great things, but many of these workers are now part of Hollywood history.